On August 31, the government of Israel decided to cut from its budget 1.9 billion NIS (New Israeli Shekels, equivalent to $517 million). A quarter of that amount came from education ministry funds. The results of this trim are yet to be seen, but it reflects an alarming trend. The OECD’s 2014 “Education at a Glance” report, published in Paris on September 9, found that Israeli expenditure per student is one of the lowest among industrialized countries. In 2011, for example, it spent $4,058 per student on pre-primary education, compared with the OECD average of $7,428. In the same year, the country spent $5,712 on each secondary school student, compared with the OECD average of $9,280. While Israeli students will get fewer resources, the military establishment won’t lose a dime. On the contrary: this summer’s Operation Protective Edge against Gaza gave the military the excuse to ask for greater funding. On September 2, Defense Minister Moshe Ya’alon stated that the cost of the Gaza operation was 9 billion NIS ($2.4 billion). It seems that 9 billion is a figure Ya’alon likes; in 2002, when he was chief of staff for the Israel Defense Forces, he asked to increase the IDF budget by the same amount, warning that if the military was not given those funds, Israel might face a catastrophe. In negotiations for the 2015 budget, Ya’alon is asking for 9 billion NIS plus an extra 11 billion, for a total defense ministry increase of 20 billion ($5.4 billion). One can justly wonder why Israel’s security forces, with a budget of 52.5 billion NIS in 2013 (5.6 percent of Israel’s GDP, one of the world’s highest, according to the World Bank), cannot afford a relatively small-scale operation like the recent one in Gaza without going broke. Then again, you do not need to be a conspiracy theorist to wonder if Protective Edge played into the hands of Ya’alon and his choir, at least when it comes to their budget requests. In the months before the latest Gaza operation, the IDF fought a different war—not against Hamas but against the finance ministry, which insisted on cutting the military budget. Training was halted, jets stopped flying and intimidating military intelligence evaluations found their way into the newspaper headlines. The operation in Gaza changed the conversation immediately: discourse about social needs was intercepted by missile fireworks over Tel Aviv, and discussion of non-military issues was buried deeper than the tunnels of Hamas. As soon as the fighting in Gaza ended, the IDF spokesperson distributed photos of Hezbollah fighters on the Israel-Lebanon border, after which conversations about the “northern front” filled the media. The psychological warfare worked well. On September 22, it was reported that Prime Minister Benjamin Netanyahu and Finance Minister Yair Lapid agreed on a 6 billion NIS ($1.6 billion) increase in the defense budget. The money will be raised by increasing the GDP deficit to 3.4 percent. 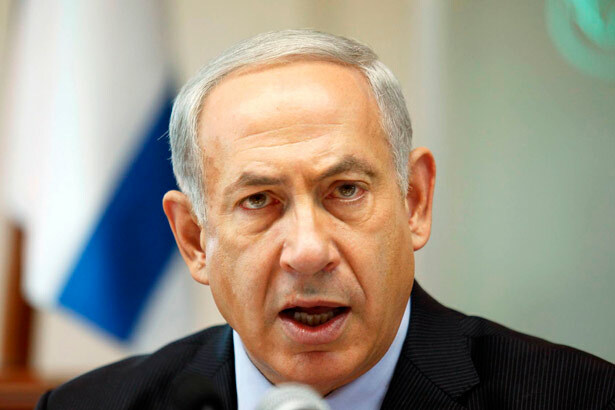 Ya’alon, however, is not satisfied and is vowing to fight for an even bigger increase. The debate is not over, but the defense minister can rest assured. Netanyahu controls the people of Israel by intimidating them with existential threats—if it’s not nuclear Iran, then it’s the tunnels of Hamas. If not ISIS, then Hezbollah in Lebanon. If not an international flotilla of solidarity activists trying to break the blockade on Gaza, it’s anti-Semitism taking over Europe. The premier has led his people to believe that it’s them against the world. With this attitude, it’s clear the defense ministry will only get fatter on his watch. Israelis should be concerned about their government’s priorities. Netanyahu promotes and sometime manufactures an endless series of national security crises, while his government is very cooperative in defunding essential ministries outside the military sector. This not only erodes the social fabric of Israel; it further isolates Israel from its neighbors in the developed world. This is the real catastrophe facing the country. Uri BlauUri Blau (@uri_blau) is an Israeli investigative journalist specializing in military and political affairs, corruption and transparency. He was a 2014 Nieman Fellow for Journalism at Harvard University.